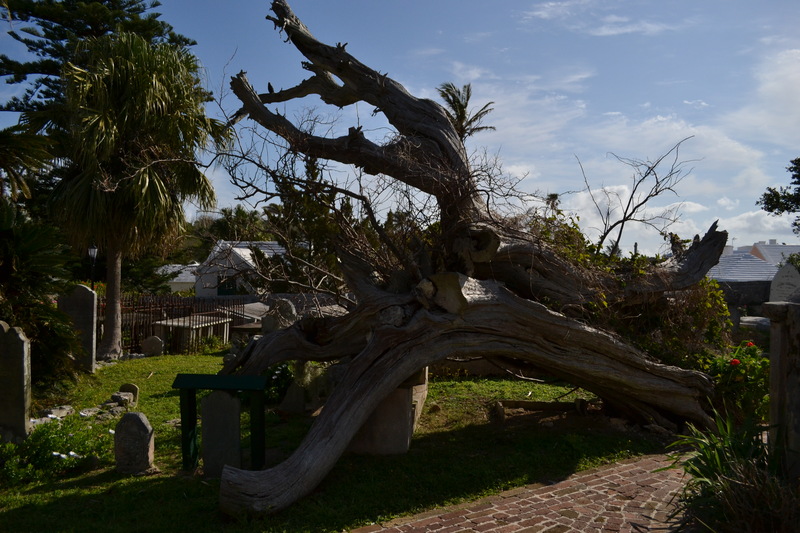 In March, 2011, we visited Bermuda and stayed near St. Peter’s church in the town of St. George. This church is thought to be the oldest continually used church in the Western Hemisphere. The original church was built in 1612. Many parts of the current building originated from the structure built in 1713. There are two graveyards on the site. I took the photo below simply because the tree is amazing – I had no idea that this is thought be a 500-year-old cedar. Thanks. Bermuda was our first vacation with my this camera and I found it was a real learning experience. The colours of Bermuda are so amazing, I felt very fortunate. I’ve just come on this post, and love the church picture. I am always attracted to these historic old churches, and very happy when they are still in use. 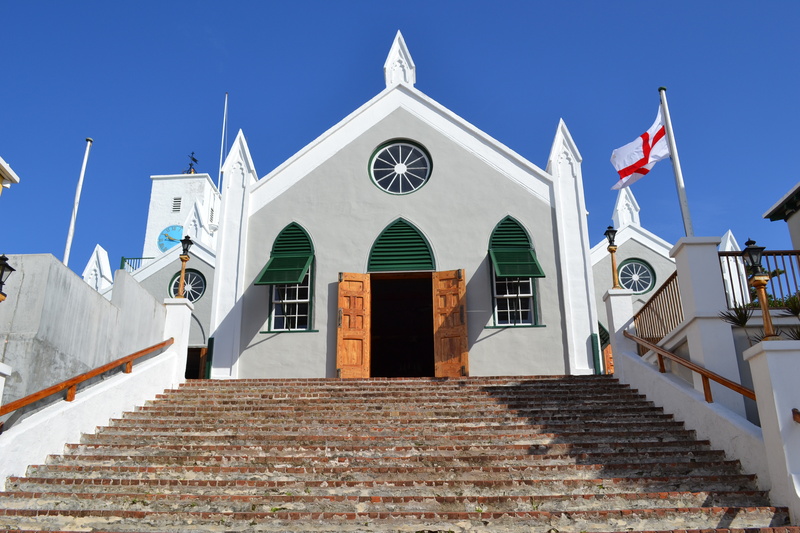 That church is actually in St. George’s Parish, Bermuda….it is in the centre of the town – I had to stand right up against the building across the street to get that shot…but the whole town is very old and wonderful. Bermuda doesn’t allow rental cars so the streets remain narrow and so seeing things on foot is not only encouraged but necessary! There was a very interesting cemetery there as well. I think much can be discerned from cemeteries….